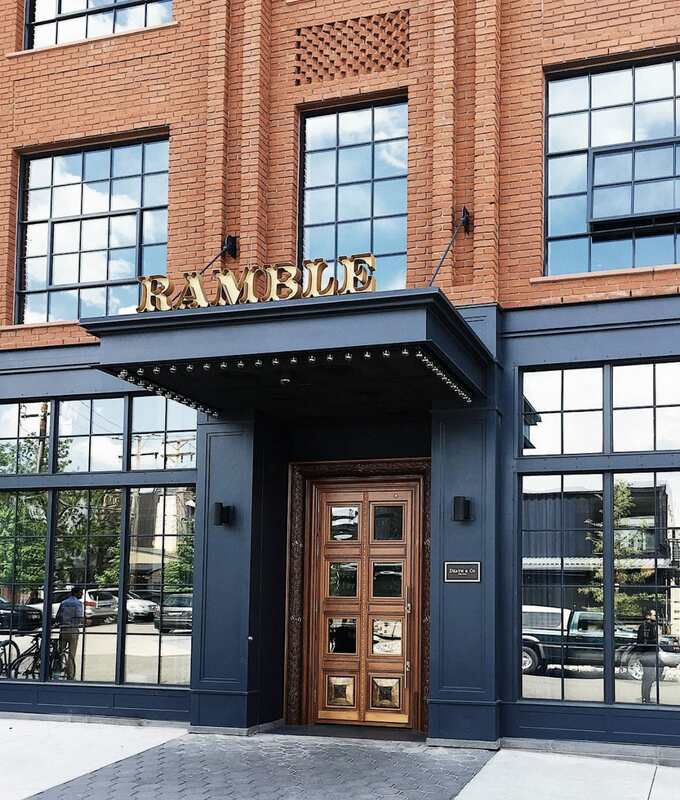 The Ramble Hotel is the first and finest hotel in Denver’s trendy RiNo neighborhood. Featuring the first location of hit cocktail bar Death & Co. outside of New York City, The Ramble offers an aesthetic experience unrivaled by any other spot in Denver. The hotel features multiple bars, several indoor and outdoor seating areas and a commercial kitchen.